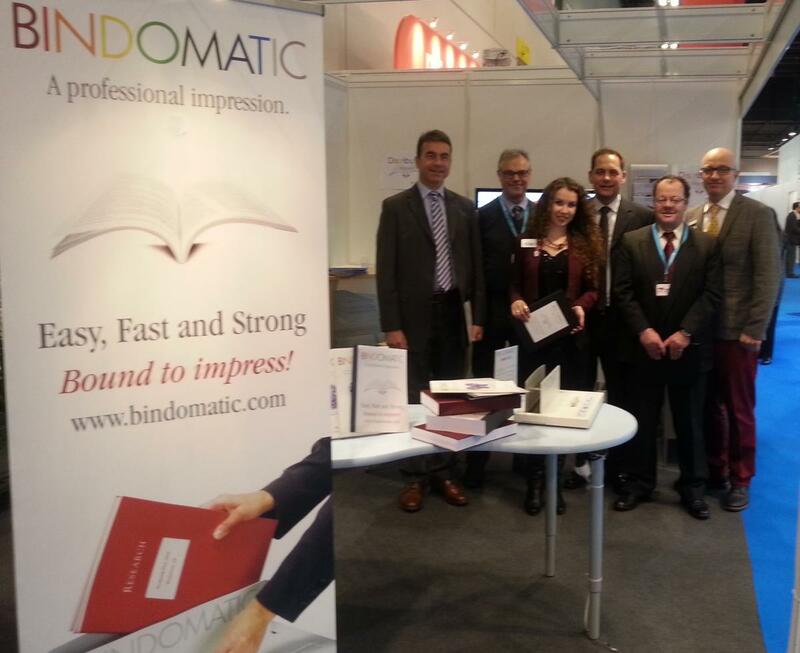 STOCKHOLM, SWEDEN (Feb 1st, 2013) — Bindomatic AB, an innovative, international company dedicated to providing top quality business solutions for professional document finishing, summarises the recent international Paperworld exhibition in Frankfurt. “Paperworld is an opportunity for us to meet up with new potential customers and business partners from all over the world. We are successfully growing the business across our global network of distributors, and the face to face meeting is very important to achieve that. There has been a lot of good new partner contacts here at Paperworld and we are eager to get started working with them as soon as possible. We have a solid portfolio of value adding products that provides long and lasting customer relationships – that is key to success” says Jörgen Friman, CEO & President of Bindomatic AB. To learn more about Bindomatic solutions and terms for distribution please visit www.bindomatic.com or call Swedish HQ at +46 8 709 5840.